"It's like pushing the beach ball with all your strength under water to only see it bounce hard into the air as soon as you let go." “Who has stirred up one from the east, calling him in righteousness to his service? He hands nations over to him and subdues kings before him. He turns them to dust with his sword, to windblown chaff with his bow. This is why in the Bible, GOD Almighty told the HOUSE OF JACOB to not fear the new Prophet, who will come from Arabia, from the east, and from Kedar and Tema (two of Ishmael's sons): Isaiah 41:8-13 . Re: Prophet Muhammad mentioned in Revelation 7:2 in the Bible! Brother You did not mention the Double standard of Translator of Isaiah 42:1 You should copy paste it into the Online Translator Isaiah 42:1 א הֵן עַבְדִּי אֶתְמָךְ-בּוֹ, בְּחִירִי רָצְתָה נַפְשִׁי; נָתַתִּי רוּחִי עָלָיו, מִשְׁפָּט לַגּוֹיִם יוֹצִיא. It says : Behold, My Servant AHMAD (Ahmad was removed by translators) , Mine Elect, in whom My soul delighteth ; I have put my Spirit upon him, he shall bring forth (law of) Judgement (i.e. 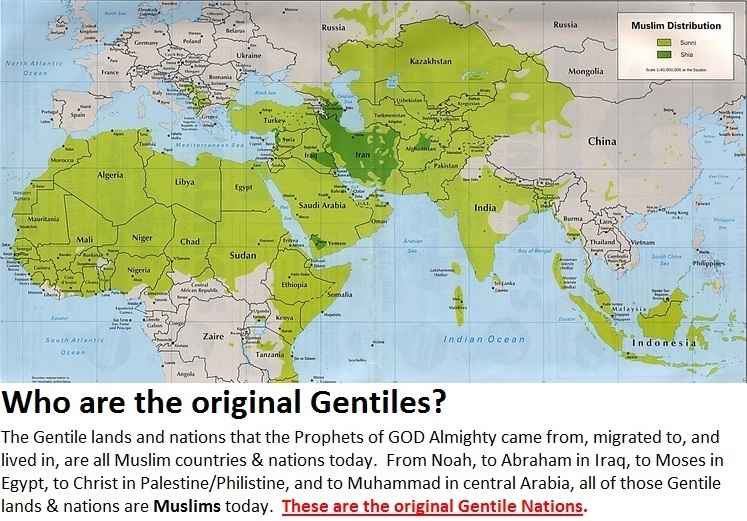 Quran) to the Gentiles. I just updated the article. Thank you for bringing it to my attention, akhi. And also thank you for the valuable points that you mentioned below. I've linked this thread today to http://www.answering-christianity.com/east.htm. And yes dear brother, I am fully aware of the brother's valuable video that you linked. This is one of the best videos out there. Insha'Allah (if Allah Almighty is Willing), many will watch it. May Allah Almighty bless you. Ameen. Christians can not even argue that Ahmad (meaning Praiseworthy) here is a adjective not a name as in passages of Isaiah. God address His chosen servants with their names, and in the prophesied verse we see God mention clearly the prophet’s name. **Some examples of God mentioning His servant by name. My Servant Isaiah (Isaiah 20:3) , My Servant Eliakim (Isaiah 22:20), David My Servant (Isaiah 37:35), Jacob My Servant (Isaiah 44:1), My Servant Israel (Isaiah 49:3) etc..., and So in Isaiah 42:1 , God specifically mention My Servant Ahmad.